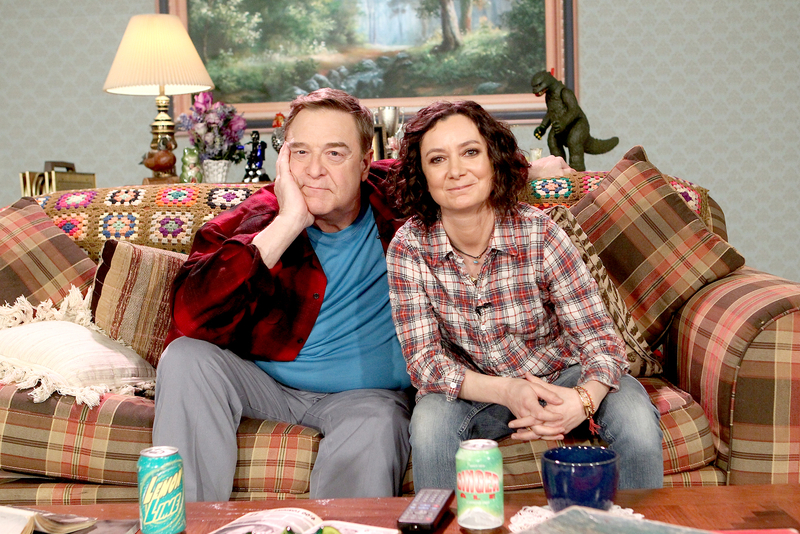 John Goodman, Sara Gilbert Reunite for ‘Roseanne’ Spoof 20 Years Later: Watch! Dad and daughter are back together! 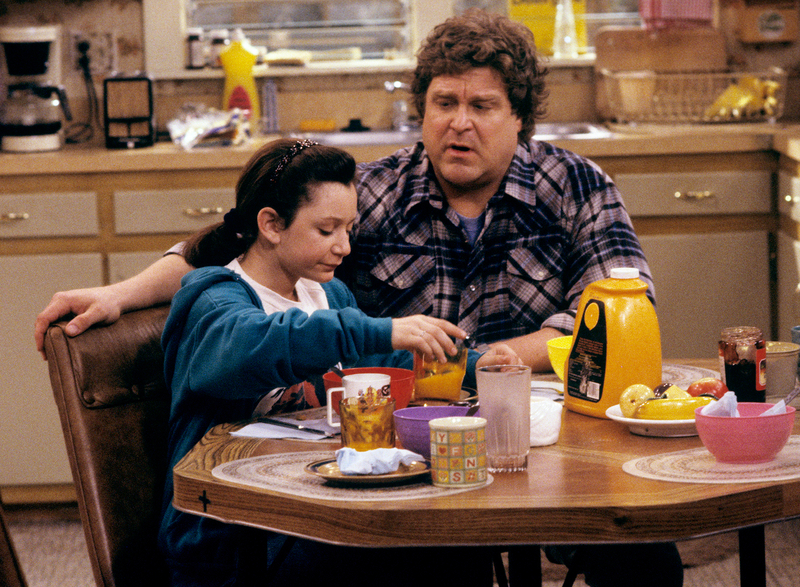 Twenty years after the Roseanne‘s series finale, John Goodman and Sara Gilbert — who played Dan and Darlene Conner — reunited on Friday, March 10. The Patriots Day actor, 64, took part in a hilarious spoof of the beloved series during Gilbert’s The Talk. They reprised their roles while watching a basketball game — something their sports-loving characters frequently did together — on a set that looked exactly like the Conner residence. 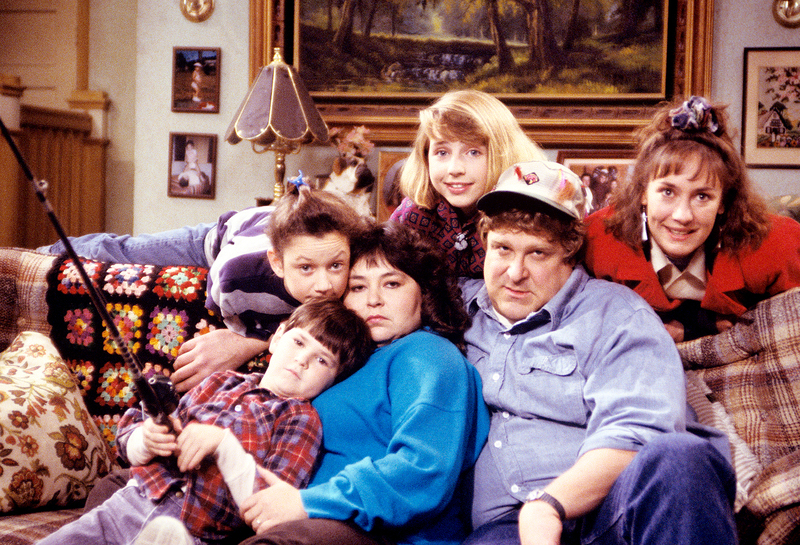 Roseanne ran for nine seasons from 1988 to 1997 on ABC and also starred Roseanne Barr, Laurie Metcalf, Michael Fishman, Alicia Goranson and Johnny Galecki. Gilbert actually realized she was gay when she dated the Big Bang Theory star, 41, in 1992.